Fleet Feet: What exactly is No Boundaries? 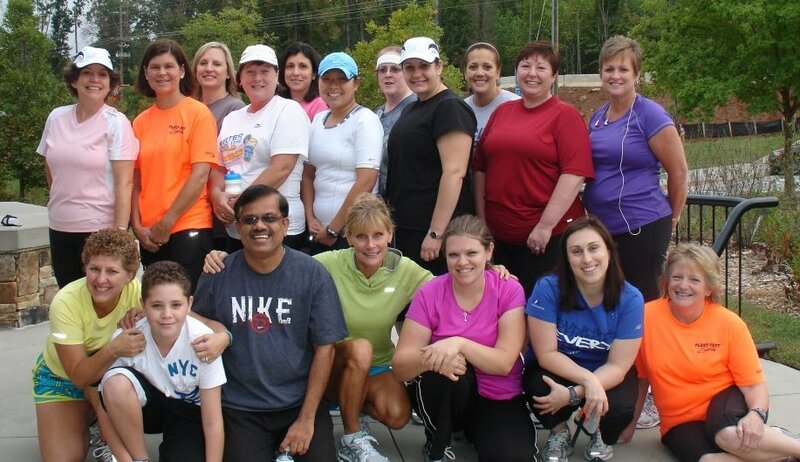 Lynn Ingram: No Boundaries is a beginner 5K training designed for the person who has never run or for the person who is getting back into running after a layoff. FF: Who can benefit from NoBo? LI: Everyone. It is good for the person who wants to begin a healthier, more active lifestyle; the person who wants to lose weight, and the person who wants to meet other people who are beginning to run. FF: How did you become a NoBo coach? LI: How long have you been coaching? I participated in No Boundaries before joining the Fleet Feet staff. It had been several years since I had run, and I was out of shape. As the NoBo program progressed, I became a runner again. As a member of the FF staff, I knew NoBo was a program I wanted to be involved in and I have been coaching the No Boundaries program for 4 years now. FF: What sets NoBo apart from other 5k training programs? LI: When you join NoBo you have the advantage of a coach and mentors at each training run to answer questions. We have two training runs per week. We provide different seminars during the program that introduce the participants to beneficial topics that help them in their new and healthy lifestyle. There is encouragement from the coach, mentors, and other members of the group. You learn more than just running in a group. FF: What's one of your favorite success stories? LI: It is hard to decide on just one favorite success story. However, we had a lady who drove 110 miles around trip twice a week to run with the group. She had never run before and she wanted to get in shape and have more endurance. She survived the aches and pains of beginning a new exercise routine and ran her first 5K. She enjoyed the program so much that she joined the program again (even with the drive). Since she and her husband (who started running with her) have run the Peachtree Road Race twice, and, as a bonus she lost more than 60 pounds. I also have two participants who just finished their first half marathon. FF: What's been the most rewarding thing about NoBo for you? LI: I love seeing the expressions on the participants face when they finish their 5K race; as well as their happiness and wonderful sense of accomplishment. Seeing the participants reach a goal they felt unattainable. FF: What advice do you have for a new runner wanting to run a 5k? LI: Having the desire is such an important driving force. We encourage participants to be able to walk for 30 minutes without undue discomfort. FF: If someone wanted to find out more about NoBo where could they go? LI: They can go HERE , call or visit Fleet Feet Atlanta at Johns Creek (648-475-1555), Lawrenceville (770-338-2996), or Sandy Springs(404-255-3338) locations.